Customer experience drives many business initiatives today because customers have so many choices available for the products and solutions they purchase. That’s why the call center—the most direct link for customers—must provide the highest level of service and support. Interaction with a live agent is an emotional touchpoint in the customer journey. Customers take their cues about a business and its performance from the interactions they have with the call center. Monitoring the quality of agent interactions is a rich source of data and insight, particularly when combined with post transaction customer sentiment data. It stands to reason, then, that call center QA should closely monitor its activities and employ the insights gleaned to make improvements. Gathering customer experience data, analyzing it, training call center reps and employing new methodologies, all add up to a consistent quality experience. Before determining a quality monitoring process for a call center, the managers and agents should decide on what elements need to be measured in order to define success. What areas need improvement? What standards should be implemented? And what areas are working well? Having a baseline of metrics to measure against will help illustrate the current state of the call center against a desired end state. The metrics applied to call center quality monitoring can be varied based on the nature of the business and the call center functions. However, the standard of using a scorecard containing the agreed-upon metrics will help guide the quality process and result in relevant, actionable information. Developing a quality monitoring scorecard takes into account not only the metrics to be measured but also those that will help drive positive financial changes for the business. These indicators will help managers adjust programs and make appropriate investments to ensure a strong call center with improved customer experiences and financial stability. With Scorebuddy, scorecards can be built using an intuitive form builder. Multiple scorecards can be developed to evaluate calls, IM threads, email, social media responses, complaints or whatever elements you want to measure. In order to get the most comprehensive information, scorecards should be developed with input from managers and call center agents. Agents are also more likely to participate fully in the call center quality monitoring process if given the opportunity to contribute to the identification of appropriate metrics. Scorecard metrics should align with company policy, customer expectations, KPIs and external benchmarking. Be clear on the definition of quality interactions including what will be measured and how it will be measured. Understand customer expectations as fully as possible through data collected via interviews, surveys and focus groups. Identify excellent, average and poor quality examples of behaviors to be assessed. Continually assess scorecards to ensure that the most important behaviors are being rated to enable identification of outstanding performance as well as those that need improvement. Once your new scorecards have been developed, it’s critical to train your evaluators on how to make assessments of agent activity. Managers will then need to train the agents so that they have a comprehensive understanding of what metrics are important and how they can achieve them. In many companies, quality assurance managers implement training initiatives with ongoing coaching sessions. These are great opportunities to identify areas of strength as well as those that need improvement. Call center quality never stands still and manager and agent training shouldn’t either. At last it’s time to get on the phone, answer a chat or an email. This is when the scorecard really comes into play. Agent performance can be judged against the scorecard benchmarks and any adjustments can be made appropriately. The scores can then be made available to business management to see how they stack up against goals and KPIs for any necessary adjustments. 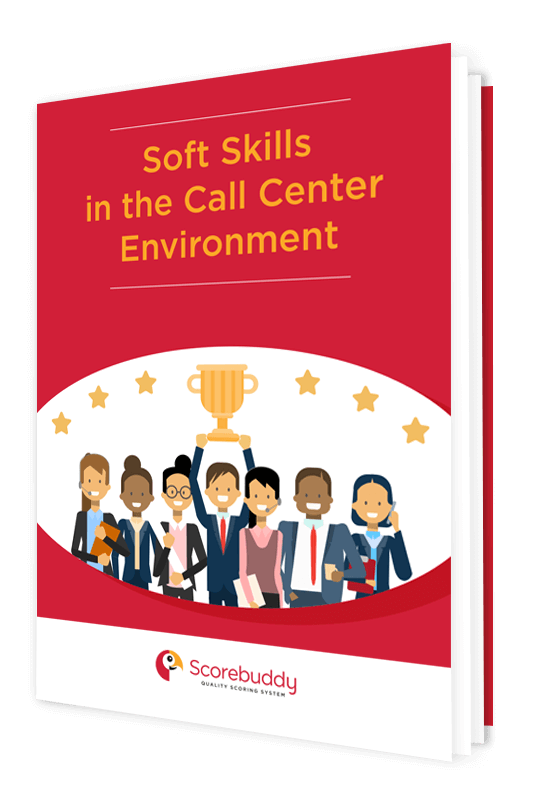 The resulting data analysis of the scorecards indicates the success of the call center, validating positive behaviors as well as those where more training is necessary. Revising call scripts or certain procedures may also be a result of the data analysis information. Call center managers should be as strategic as possible when choosing calls to monitor. It’s virtually impossible to hear every customer interaction with every agent and a random sampling of calls is not really indicative of agent performance either. The ideal scenario is to strategically select calls which are prioritized by importance and criticality. Calls made by new agents should generally be targeted as are those made to high-value prospects or with those customers who have had negative experiences with the company in the past. Call center quality is not a “one and done” proposition. It is a dynamic entity that requires continual care and adjustment. The key is to update scorecards as needs change and include agents in the scorecard and call review processes. Customer needs are always changing and the call center with quality as its driving force will lead in customer retention and loyalty.